The future looks bright for IT services these days as more and more things are computerized and automated. In fact, many automation advances are taking place with the help of computer software programs. If you are in the msp business or thinking of entering it, the years ahead could be very lucrative but it helps to have some kind of crystal ball to see what RMM remote monitoring services may be like in the next decade or so. We don't have a crystal ball, but here are some things which might happen, and by taking advantage of these things, you may be able to increase your business. As the business world becomes "leaner" it also becomes more competitive and companies will be struggling to stay ahead of their competitors. One of the best ways to succeed involves outsourcing many business needs. For example, why pay to backup all your data when your msp can include a cloud backup service and you do not have to make any hardware investments or pay your employees to take care of the system? This can result in a significant savings every year. 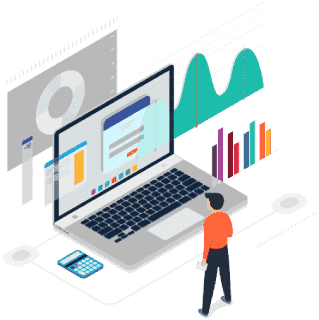 As outsourcing becomes the norm, you can expect to see more and more businesses outsourcing IT services and this is good for companies specializing in rmm remote monitoring services. Managed IT services make sense for so many reasons and they are seen as an excellent business investment by companies both large and small today. You don't have to be a Nostradamus to make this prediction, but it is still an important consideration for the future. Look around and you'll see pre-school kids with their own tablet computers and grade school children with smart phones. An entire generation is growing up with the mobile market and will continue to depend on the good things it can provide, and free rmm services will be there to help. When an msp company first starts out it needs to make a splash in the market while maintaining a limited budget. Look for these smaller startup companies to take advantage of the growing mobile market with the most affordable strategy. They cannot afford to buy laptops, smart phones or tablet computers for their employees. However, they can encourage workers to bring their own devices to work with them. This will give employees the ability to have access to company data when they are away from the job and they can keep in contact. Companies with a BYOD policy will have special needs for mobile equipment and the msp which can provide the best and least expensive rmm and mdm will win the lion's share of the business. This is why you should consider a free open source platform like ITarian. With no cash outlay for software fees and other expenses, you can afford to charge less for your services. There are a lot of companies selling basically remote monitoring services and this is all. However, standalone services could soon become a thing of the past. For example, most business have a significant need for PSA RMM Integration and this should become a very popular feature soon. In addition, many companies want to enjoy a secure network but also want effective data backup, enhanced endpoint protection and assistance with patch management. The msp taking care of these needs will be in demand in the future. This is why ITarian has all of these features and more, available with their open source software. Good news - msp companies will have more software choices and the chance to offer enhanced services to their customers. Bad news - a lot of upstart software companies may burn brightly like a 100 watt bulb and then suddenly go out. The truth is, the majority of new businesses fail within the first few years and what are going to do if your Remote Monitoring Software is no longer supported and you are using it with all your clients? The best way to avoid this situation is to go with an experienced and trusted company like ITarian. We have been here since the late 90s and we have helped over 200,000 business customers meet the needs of tomorrow. Call (973) 859 4000 ext 3025 for a live ITarian demonstration or go to https://www.itarian.com/ on the Web for more info.